Those in charge of the Pony Express didn’t believe riders traveling east could cross the mountains and deserts between California and Utah as easily as riders heading west, from Missouri, could cover the plains. On the very first run, assuming the eastbound riders would be late, they didn’t have relief riders waiting at the Rush Valley station southwest of Salt Lake City. Only Major Howard Egan, who had hired those riders, believed they would come through on time. “He went to Rush Valley himself, to meet the rider — and he was there,” said Lydia Egan Westover, a descendant. 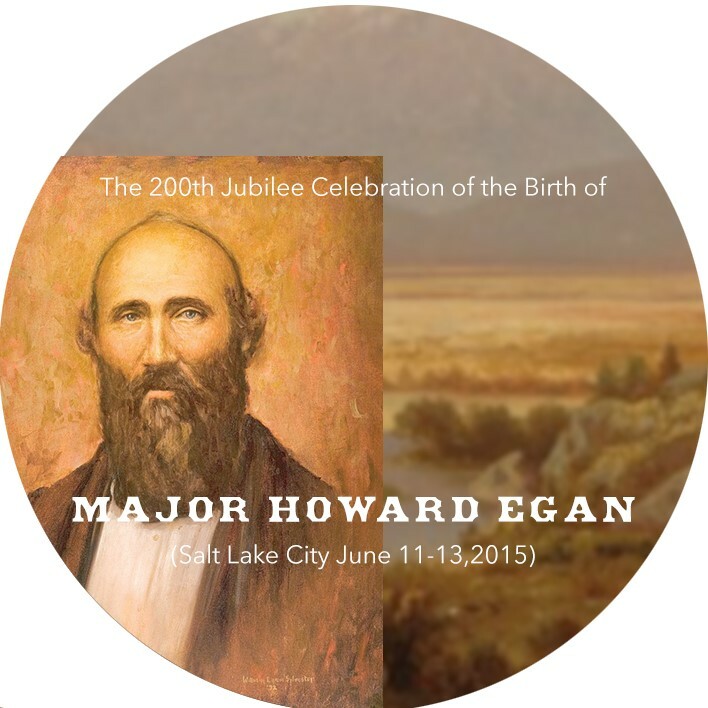 Egan took the mail and headed through a storm to Salt Lake. He couldn’t see the trail, so he trusted his horse. At Mill Creek, the pony slid off the plank bridge and landed in the water, but they kept going. The Pony Express made its first run in April 1860 — a time when many folks were heading west and the country was heading toward civil war. “California’s population, and its gold, placed it in an important position,” said Westover, of Kaysville, explaining that it was critical to keep California in communication with the Union. Before the Pony Express, mail was sent west by stagecoach or steamship, which could take from 25 days to eight weeks, according to National Parks and Bureau of Land Management publications. The Pony Express was a relay of fresh horses and lightweight riders who could travel at faster speeds. They delivered mail from St. Joseph, Mo., to San Francisco — a distance of 1,966 miles — in 10 days or less. Pony Express founders William H. Russell, Alexander Majors and William B. Waddell split the route into five divisions. 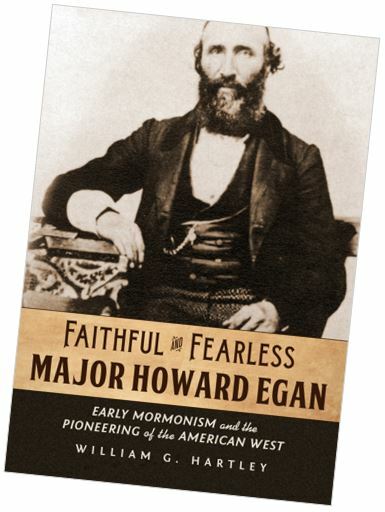 Major Howard Egan was hired as superintendent of the line between Salt Lake City and Roberts Creek, Nev.
An Irish immigrant, Egan was with the first wagon train of Mormon pioneers to enter the Salt Lake Valley in 1847. He made his first trip to California in 1849, and was carrying mail between California and Utah years before the Pony Express. 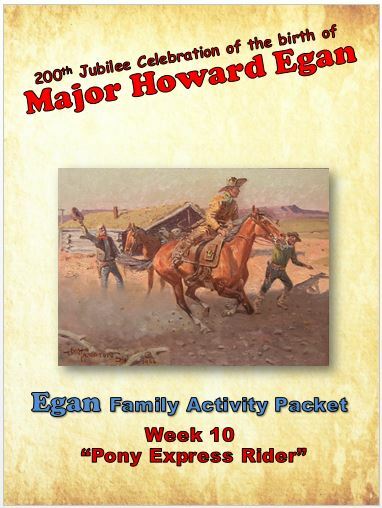 Two of his sons, Howard Ransom Egan and Richard Erastus “Ras” Egan, were Pony Express riders. Ras was 18 years old, and Howard was 20. “Having the same name as his father, they mix him up, and he’s almost nonexistent in history because they attributed things to his dad that were his,” said Westover. The elder Egan may have gone by “Major,” a title he picked up as a member of the Nauvoo Legion, to try to avoid that confusion, she said. Westover was 13 years old when she first understood her family’s role in U.S. history. “My grandfather was telling stories,” she said. 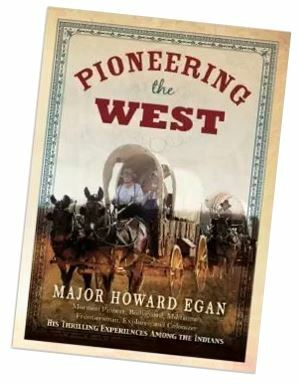 “I realized, ‘Oh, this is real history, and I’m connected to it.’ ” The stories came from “Pioneering the West” (Skelton Publishing Co. in Salt Lake City, 1917), a collection of journal entries and writings of Major Egan and his son Howard. She passed those stories on to her children. In 2010, for the 150th anniversary of the Pony Express, Westover self-published a children’s picture book that includes those tales and others, called “Pony Express Adventures” (Pony Express Books, http://lulu.com/ponyexpressbooks, $6.49 for an e-book, $14.99 for a paperback). It’s illustrated by artist Bob Child of Ogden. Brothers Jack and David Rhodes, great-grandchildren of Howard Ransom Egan, keep history alive in their own way. 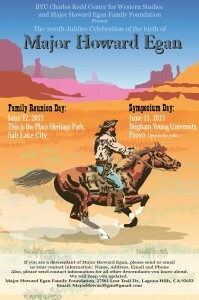 Dave, of Logan, writes cowboy poetry based on the old Pony Express stories. Jack Rhodes, of Provo, joined the National Pony Express Association about 20 years ago and participates in commemorative re-rides each June. In re-rides, volunteers ride a couple of miles on a nice saddle, Rhodes said. The original riders used a lightweight saddle with little padding — sometimes for hundreds of mile when stations were attacked and riders found no one to relieve them. “But I guess if you’re scared … it’s just like I remember when I was in the war — people were shooting at me, and I did a lot of things that I’d never think I’d be able to do,” Jack Rhodes said.